484 pages | 87 B/W Illus. 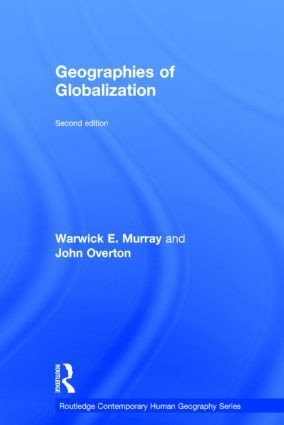 Boxed sections highlight key concepts and innovative work by geographers as well as topical and lively debates concerning current global trends. The book is also generously illustrated with a wide range of Figures, photographs, and maps. positions at four other institutions including the Australian National University. for a range of journals including Asia Pacifi c Viewpoint.